Who knew those small packets pack a punch when it comes to removing grease stains? 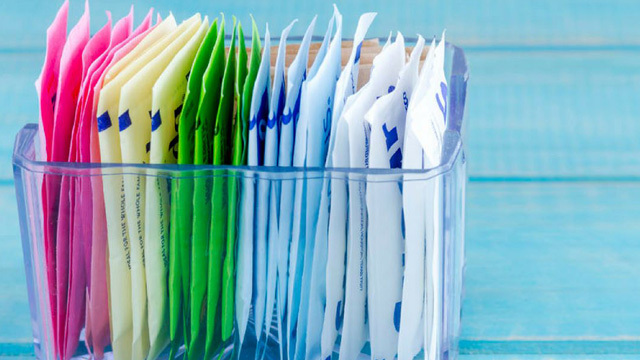 You can bring some on your bag or have a box of these sweeteners in your cupboard for unexpected greasy situations. To use it, simply blot the stain with the powder and wait for its magic to work. If your favorite blouse or skirt has ink or chocolate stains, milk may come in handy. Soak the stained pieces in a milk bath overnight. Once the marks have been lifted, you can wash the clothes on a regular wash cycle. Your favorite thirst quencher can help remove bloody stains, too! You can soak the garment in a basin full of soda overnight to lift the stains. As an alternative, you can pour a can into your laundry cycle along with your trusted detergent then wash as you would. A drop of red wine can ruin the beauty of your favorite dress. Get your jar of salt to get rid of it. 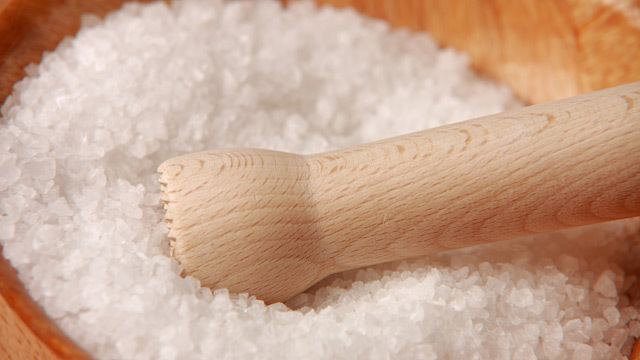 Before washing your clothes, sprinkle a pinch of salt on the stain and let it sit for five minutes. Don’t forget to rub the stain as you rinse it with cold water. Leather and other delicate fabrics like silk demand extra care. To solve stains on leather or silk, blot it with the cornstarch, and leave it for 20 minutes or until it has absorbed the stain. Use a clean cloth or toothbrush to remove the remaining powder. Got extra lemons in the fridge? 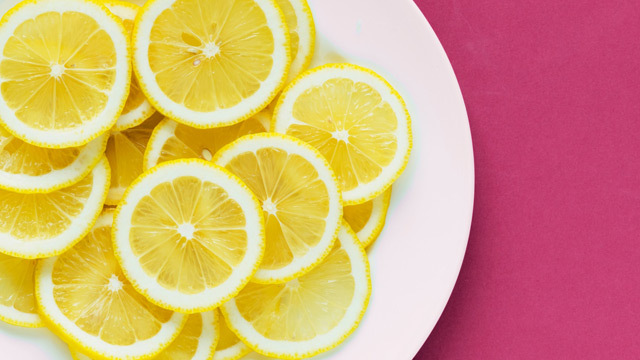 To get rid of sweat stains, you can rub lemon juice onto the fabric or mix equal parts lemon and water to create a powerful mixture. For ink stains, you can mix cream of tartar with lemon juice to create a paste you can use. Dealing with unwanted streaks from mildew and rust? 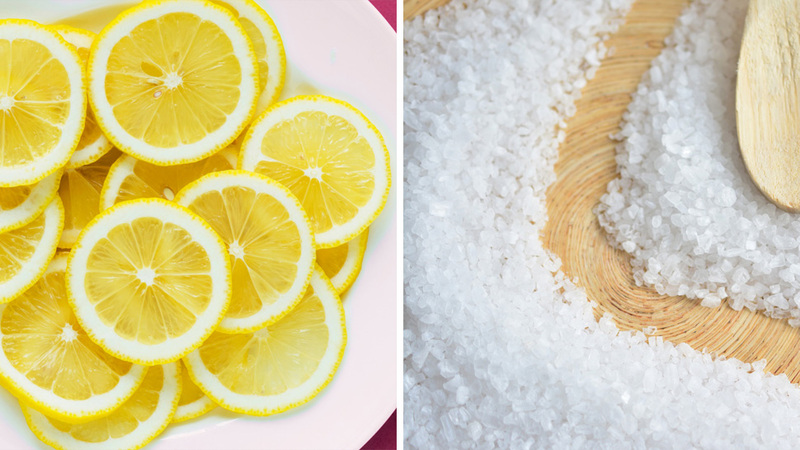 Mix lemon juice with salt to create an instant solution.